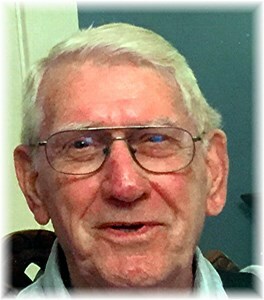 James E. Markham, Sr., 84, of La Grange, Kentucky, passed away on Sunday, April 14, 2019. James was a member of Westport Road Baptist Church. James started his career in banking then followed the Lord's calling and was involved in various ministries in Michigan and Kentucky. He and his wife started The Plantings Christian Retreat Center, now known as Agape Wilderness Retreat Center. He was born on August 5, 1934 in Russellville, Kentucky to the late Jesse Markham and Johanna Cates Markham. James is survived by his loving wife, Jo Ann Markham; children, Jim Markham (Cheryl), Jr., Mike Markham (Connie), Debbie Crask (Paul) and Kevin Markham (Lee Ann); six grandchildren and four great-grandchildren. Visitation will be from 3 pm to 7 pm on Thursday, April 18, 2019 at Westport Road Baptist Church, (9705 Westport Road, Louisville, KY, 40241), a funeral service to honor the life of James will be at 11 am on Friday at Westport Road Baptist Church with burial to follow at Louisville Memorial Gardens East. The family requests that contributions in James’s memory be made to Westport Road Baptist Church or Agape Wilderness Retreat Center (831 Barebone Road, Bedford, KY 40006). To leave a special message for the family, please select the "Share Memories" tab above. Add your memories to the guest book of James Markham, Sr.. If there ever was an example of a christian brother, Jim is it. At the lowest point in my life Jim put his arm around my shoulder and said "you are not going to walk through this alone." As times got darker Jim was there, encouraging me, counseling me, keeping me rooted in the word. He and Jo gathered me under their wing and took me as a part of their family. Always encouraging and keeping me rooted in the word, he walked with me during the hard climb out and celebrated with me as a new life was begun. Jim and Jo, I look forward to celebrating with you in heaven as all the lives you have touched by your loving arms are revealed! Jim and Joann Markham always showed love and interest to everyone. I remember youth group get togethers at their home, accepting young people and showing them care. Mr. Markham was a wonderful, godly man and he will be missed. Prayers for the family. Love from Tim and Sherrye (Tuggle) Beckett. I am so sorry to hear of Jim's passing. You both have meant so much to me and Chris. You both had such an impact on us early in our marriage when we came to your marriage retreat and then bible studies, Emmaus walks and such. You and Jim are such an amazing couple! We love you dearly and we are praying for you JoAnn and family. Our sincere condolence to the Markham family. Jim was a true follower of our Lord and savior. He will be missed, but we know where to find him. This couple is so special to my family, that I can’t express our feelings in a few words! We have such sweet memories of growing up as youth and them working with us at Westport Road Baptist! My mom and dad Claude and Katheryn Tuggle served on the board of the Plantings Retreat Center! We all knew Jim and JoAnn were doing the Lord’s work there! I have gone to them over the years for counseling! Jim will be missed by our family a lot! The angels are rejoicing as their child is home! Mr. Markham (Jim) was a surrogate father to me & my wife Jennifer. Whether it was advice about if a particular activity was wise (like me and a friend going a 11 pm movie, when there was worship the next morning), or finding contractors to help us work on our home; he was always the best. Before I got married , I used to hang out at Mr. Jim & Miss Jo Ann's home. We enjoyed activities together, like shooting pool in their basement, or helping him install a new water heater at their house (he did 99.999 % of the work). Another time (maybe even the same evening), I watched Miss Jo Ann tear off aluminum foil for a covered dish, 3 times too short! We all had a good laugh about that! Mr. Jim & Miss Jo Ann have always been such blessing to us, whether near or far. Mr. Jim, I know you're resting well now & worshiping & serving our Lord. I'd ask you to tell God the Father, God the Son & God the Holy Spirit "Hey"for me, but they already know that. Much love in Christ, Jeff & Jennifer Peed, Church Planters (Grace Community Church of Crawford) Crawford, Colorado 81415. I had the honor of knowing Jim for over 25 years. First met him at The Plantings and knew he had such a big heart for the Lord and for people. Also were blessed to be neighbors with he and Jo Ann for many years. A terrific guy who will be greatly missed. He has certainly heard the words, "Well done good and faithful servant!" Jim was a phenomenal man with a great Christian spirit. He was instrumental in my own "personal" Christian revival. He sponsored me as a pilgrim and introduced me to the Louisville Emmaus Community, which changed the course of my own relationship with Jesus Christ. Connie and I enjoyed being part of The Plantings Board, which we saw firsthand of Jim and Jo Ann's walk of faith, hope and charity. Jim was always optimistic in what the future had in store and never regretted that he was a servant in God's hand. He will be greatly missed as we will have a hole in our heart of his passing. But, we celebrate his life, dedication, love, and tenacity to follow God's calling. We wish the family our sincerest sympathy and enjoin with them in this moment of sadness. Joe and thought so much of Jim! We love Jim and Jo and will deeply miss Jim. He was a special man and we are saddened by his passing. But we know that he loved his Lord and is now in HIS presence! He is now in no more pain and forevermore with his Savior!! Jim lived a good life and touched so many lives! Jim, you ran the good race, and now can enjoy being with the one you worshipped here on this earth...we will miss you! So sorry to hear about Mr. Markham's passing. I had just seen him and Mrs. Jo Ann Markham at the eye doctor in C-wood a few weeks ago. We were all glad to see each other. I had no idea he would be passed away so soon.. He was such a nice person and Ms. Jo Ann is too. So sorry for all the family. He will be missed by family & friends. Prayers for all the family. I know that James was loved by his family, especially his grandson, Stephen, and Stephen's wife, my daughter, Amanda. James and his wife Jo Ann, attended their wedding in Florida where James spoke from the Bible. They will miss him.